KIEV, Ukraine -- Ukraine still wants to create a trilateral gas consortium with the EU and Russia to manage its gas transportation system, Ukrainian President Viktor Yanukovych said on Wednesday. "We very much want to create a gas transportation consortium, in which responsibility for its operation will be shared between Ukraine, Russia and Europe," Yanukovych told a news conference. Ukraine has long been seeking to alter the terms of the 2009 gas deal it signed with Russia. The deal ties the price of gas to oil prices, which have risen strongly since 2009, boosting Ukraine's gas bill. The contract says Ukraine must import no less than 33 billion cubic meters of gas from Russia. Kiev insists on reducing both the price and the volume of gas imports. In August Russian President Dmitry Medvedev said Ukraine could get gas price discounts if it made an attractive offer on its gas transport system. Kiev offered Moscow to create a trilateral gas consortium with the EU. Moscow did not welcome the idea at that time. Yanukovych also said that the consortium's possible creation was on the agenda of ongoing gas talks between Russia and Ukraine. 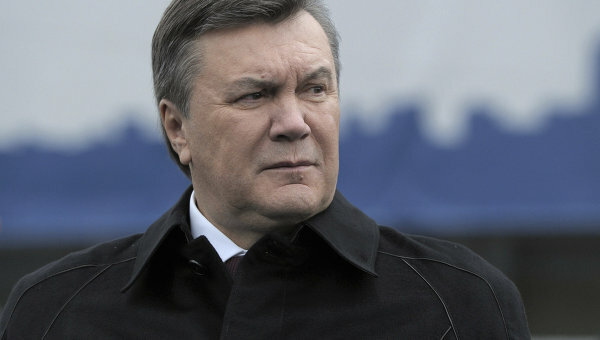 The price of Russian natural gas for Ukraine should not exceed $250 per 1,000 cubic meters, Yanukovych said. In the fourth quarter of 2011, Ukraine pays $400 per 1,000 cubic meters for Russian gas. "We think the price for Ukraine should not be higher than $250, but it is difficult to say what it would (finally) be," he said. Last week Kommersant business daily reported that Russian gas giant Gazprom might lower the gas price for Ukraine to $210-220 per 1,000 cubic meter, if Kiev sold part of its gas transportation system to Moscow. Russia annually pumps about 100 billion cubic meters of gas to European countries via Ukraine, which makes up 80 percent of its total gas supplies to Europe.